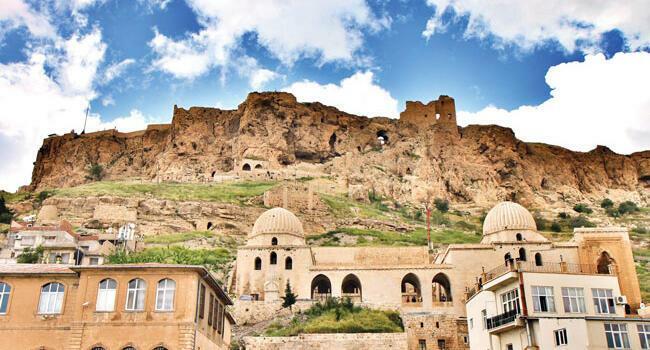 Turkey is planning to double the number of foreign visitors and attract 70 million tourists by the year of 2023 with a $70 billion-worth profit, Culture and Tourism Minister Mehmet Ersoy has said, vowing to move the country to an upper league in the sector by introducing more archeological sites and the gastronomic richness of Turkey in addition to its natural beauties. “Our target for the year of 2023 is to host 70 million tourists and to earn $70 billion. This is our target, and we are working systemically to reach it,” Ersoy said in a visit to daily Hürriyet and Hürriyet Daily News on Dec. 17. Despite not having a background in politics, Ersoy, a successful businessman and entrepreneur running many hotels and a leading tour operator, was appointed as the country’s culture and tourism minister on July 9. The number of tourists visiting Turkey in 2018 has already hit near 40 million, the minister said. “We will rank sixth or seventh places in the number of tourists this year, but we are 14th in the list of countries making the most money from tourism. We should increase our revenues from tourism by attracting qualified tourists,” Ersoy stressed. He stated that his immediate target was to let Turkey be among the first five countries in both lists by 2020. Turkey has to move to an upper league in tourism and the only way to do so is to have what he called “qualified tourists” who would spend more, the minister stated, explaining that structural changes in the field of tourism are planned to deliver this. “First we need self-confidence. And we have this. We have a strong infrastructure and natural and cultural assets. But we should be able to promote and market them in the most efficient way. We will transform our tourism industry from supply-based tourism into demand-based tourism,” he stressed. The minister informed that Turkey is now in efforts to create a new promotion body consisting of the government and representatives of the private sector with a $150 million budget. The government will allocate $30 million while the rest of the money will be collected from all sorts of stakeholders of the tourism industry, he added. Along with the minister and his two deputies, a representative from Turkish Airlines and representatives of hotels and travel agencies will form the 11-seat body, Ersoy said. “I have learnt that seven countries out of 10 making most money from tourism have similar promotion agencies. This will help promoting and marketing our tourism worldwide,” he stated. Turkey is building one of the largest airports in the world and has a very successful growing global airline company, the minister said, adding that the government could not afford to fail in delivering the ambitious objectives in tourism, the minister said. “I have the cases of Singapore and Dubai. Take Dubai for example. They have two things: The worldwide-known global airline company Emirates, then, they have a promotion agency. What does Dubai have to offer to the tourists? They only have a desert and seaside. Seeing a desert would be interesting for tourists, but what else do they have?” the minister said.